"Sonnenblick" is a luxurious apartment on the sunny plateau of the village of Fliess, 3 km from the centre of Landeck and the "Venet" skiing area. The skiing area “Fiss-Serfaus-Ladis” can also be reached from the village by ski bus (in about 10-15 minutes). The apartment, completely renovated and refurnished in 2016, is also a good base to visit the Pitztal and the Kaunertaler Glaciers. Italy (Reschensee, Merona) or Switzerland (for example Samnaun, St. Moritz) can also be reached in about 25 minutes. The apartment is located on the ground floor and has its own entrance; privacy guaranteed! It's about 500 m from a supermarket and a restaurant. An outdoor swimming pool, tennis court, cable car, hiking trails, cross-country skiing trails are also within easy reach. The house features a large kitchen diner with dining room, a nice living room with a pleasant seating area, two bedrooms and a large, luxurious bathroom. Both bedrooms are equipped with a double bed and a large, single fold-down bed. From both the bedrooms and the kitchen you can directly reach the large terrace (35 m2) with a beautiful panoramic view of the Oberinntal. You can use a room for ski and bicycle storage. There's free parking on the property, next to the apartment. The apartment features free WiFi. The house is not suitable for for children under 2 years old. There's a storage room in the garage, which can only be used for motorcycles, mountain bikes and (racing) bikes. If you're interested, it can be rented on site through the manager for €10 per day. 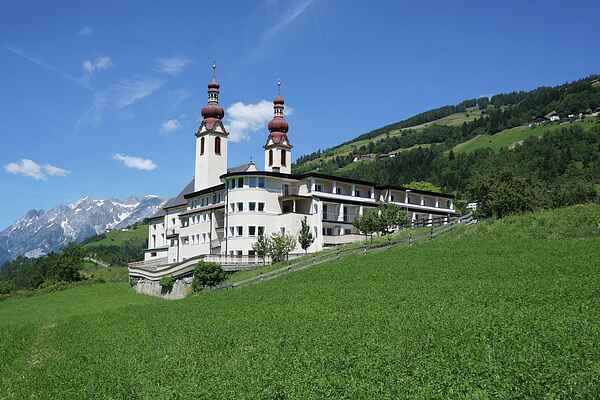 Fliess is situated in the Nature Park Kaunergrat, located a few kilometers -minute Ski Area Venet (Landeck-Zams-Fliess) and Ski resort Serfaus-Fiss-Ladis, but also near the quiet ski resort of Kaunertal. In winter you can use from Fliess of the ski bus to Serfaus-Fiss. The ski area Ski Paradise Reschenpass (Ski resort Nauders) is approximately 35 minutes drive. The same applies to ski Silvretta Arena Ischgl - Samnaun. Hotel Traube, Hotel Fliesserhof and Hotel Marienhof serves dinner and the well-known goulashsuppe. In Dorfscafé, if opened, a small meal available (of good quality at a real tively low price). Of course you can outside Fliess enjoy a good meal, eg. At Gasthof Wilder Mann Tösens (about 15 minutes) or Hotel Post in Prutz (approx 10 minutes). You can use the outdoor pool or in Fliess Pfunds - Ried. dokumentatiemap is present in the apartment including several break opportunities in the area. we kindly ask you to provide the manager at least 3 hours before arrival of your arrival time. We also ask you to pay the cleaning costs and tourist tax in cash to the manager upon your arrival. Unfortunately, experience has shown that some guests tend to treat someone else's property as unpleasant. We point out that all damages caused are restored. the manager is entitled to deny guests access to the home if the (house) rules are not complied with.